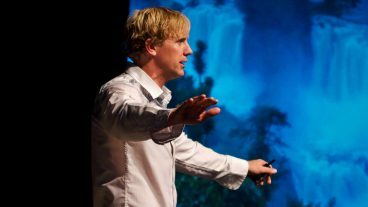 Speakers' Spotlight – Is Customer Love Fueling Your Organization? The best brands are known for great customer experiences. 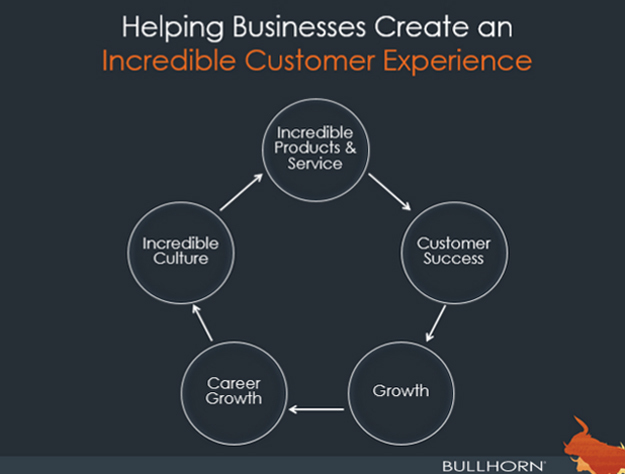 Bullhorn is a company delivering exactly that. Founded by CEO Art Papas in 1999, it has grown into a booming CRM software company with 500 employees and 10,000 customers. I was fortunate to participate in Bullhorn’s user conference, Engage, last month. In his keynote to kick off the conference, Art shared why he completely changed the company’s mission. I was impressed with the talk and the incredible growth of the company. After the event, I caught up with Art to learn more. Create incredible products and services. Look for ways to help customers differentiate themselves as beacons in their own industries. Art and his leadership team changed everything, starting with how they communicated the company’s purpose to employees. “The ‘why’ really matters. First, we told people why they should care about customer experience,” Art says. Stay with a problem until it’s resolved, or until someone else tells you they own it. Deliver high-quality work the first time. Earn trust by getting things done and solving problems. Speak up when you see problems and offer solutions. Redirect your work to others. Ignore problems or assume someone else is on it. Throw shoddy work over the wall to another team. Thus, he created a team of people to “catch employees doing something right.” That team looks for great work, recognizes those people, and coaches others who need help. Bullhorn leaders call out employees and highlight examples of great work in company meetings and all-company publications. Every month, an update goes out with a full page of customer quotes about Bullhorn employees. “It’s become part of our culture now,” Art says. To show employees they were serious about this culture change, Bullhorn leaders reworked the company’s bonus and performance review processes, aligning goals and incentives to the overall mission. Leaders set company goals for customer satisfaction metrics and customer retention rates, then tied everyone’s bonus to those goals. Managers’ bonuses were also based on their employees’ satisfaction and engagement. This year, Bullhorn applied the lessons they’d learned internally to their annual user conference. In past years, it was called Bullhorn Live, and it focused on the product. The 2015 event was rebranded around the theme Engage and focused on delivering content to help people do their jobs better, manage people more effectively, grow their businesses, and innovate. I asked Art what’s next for Bullhorn. He didn’t hesitate: preserving the culture as the company grows. Bullhorn had 400 employees at the start of 2015. In June they hit 500. “Preserving this culture is what keeps me up at night,” he says. “I have both hands on the wheel, staring straight ahead.” He’s focused on leadership development, and he hired a leadership coach from Korn-Ferry to help Bullhorn train managers and leaders as the company grows. One thing he’s learned as the leader of a high-growth company is the importance of being in-tune with yourself. “I’ve learned not to ignore things that are bothering me. If something’s bothering you as the leader, it’s bothering everyone else times 10. The times I’ve gotten in trouble are when I’ve thought I couldn’t fix a problem — I’d think, ‘we’re growing too fast. Let’s just get through the next quarter.’ Now I know to pay attention to how I’m feeling about the company and attack problems head-on,” Art says. Branding the customer experience is important. If you can’t execute on your customer experience as you grow, customers will notice. World-class brands define their customer experience, create a clear process for executing it, and fuel their organizations with customer feedback and love.